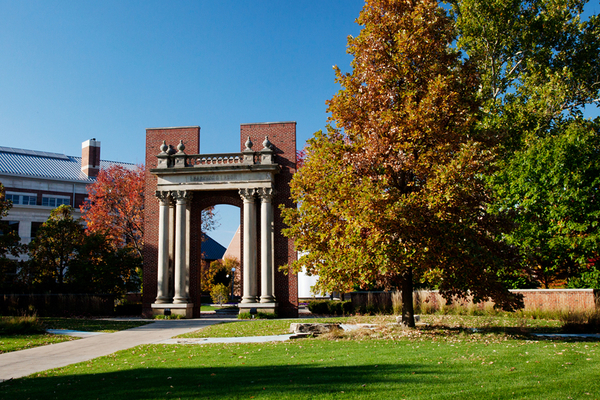 The Hallene Gateway was originally built in 1871. It was installed at its current location in 1998 at Illinois Street and Lincoln Avenue in Urbana. 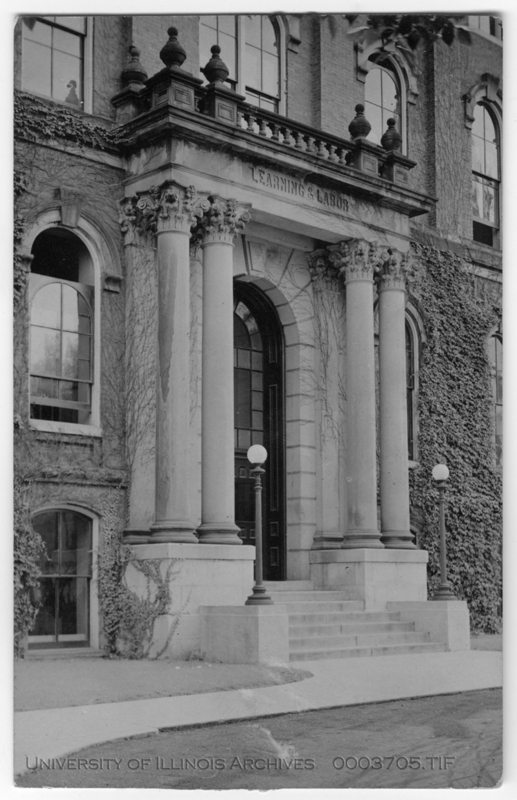 The Hallene Gateway was originally the entrance to University Hall, which was also known as New Main Hall or the New University Building. 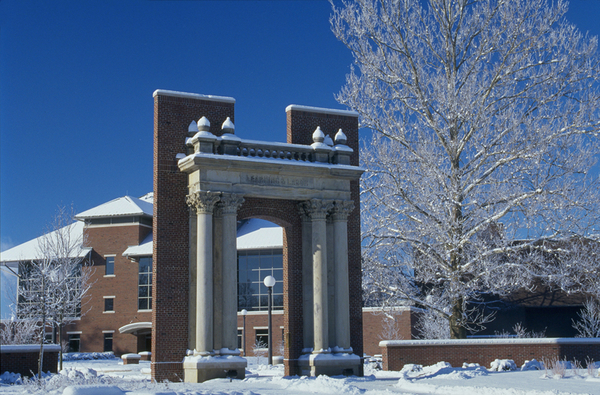 Built in 1872, University Hall was the the fourth building on campus, after the Mechanical Building and Drill Hall, and was destroyed in 1938 after a classroom ceiling collapsed (Leetaru 2004-2011). 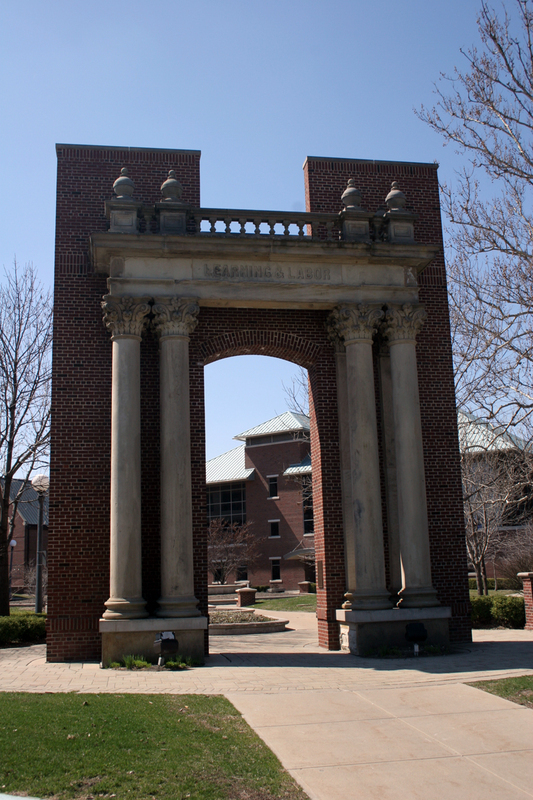 The portal entrance was saved and kept behind the Architecture building for a number of years before eventually moving to Robert Allerton Park (Public Affairs 2013). The gateway was rediscovered in 1994 near the maintenence shed at Allerton, buried amongst "raspberry thickets and trees" (Garner, n.d.). After a lengthy excavation process, the portal entrance needed a great deal of repair. 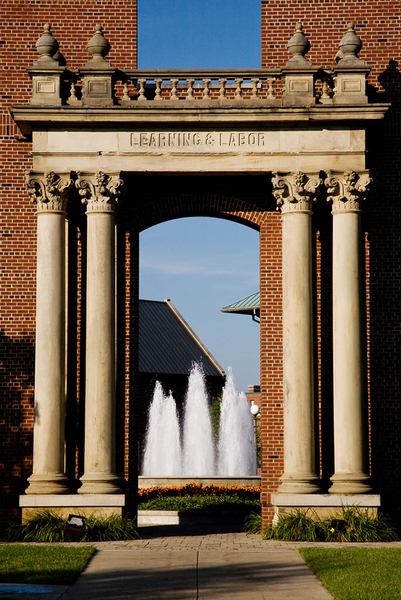 Through generous donations from Alan M. and Phyllis Welsh Hallene, graduates of the class of 1951, the Hallene Gateway Plaza was created and the arch, newly restored, found a permanent display home on the University campus. 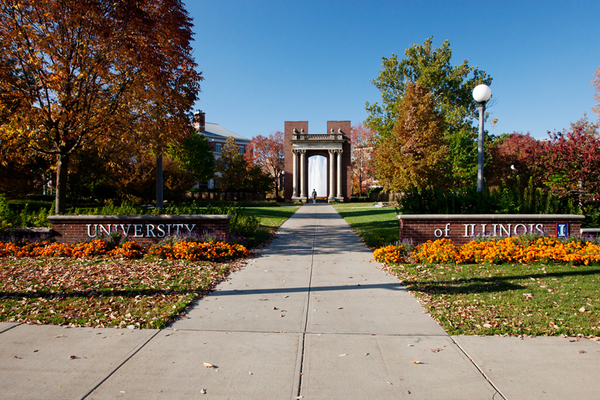 The Plaza was dedicated October 8th, 1998 on the 63rd annual meeting of University of Illinois Foundation (Leetaru 2004-2011). 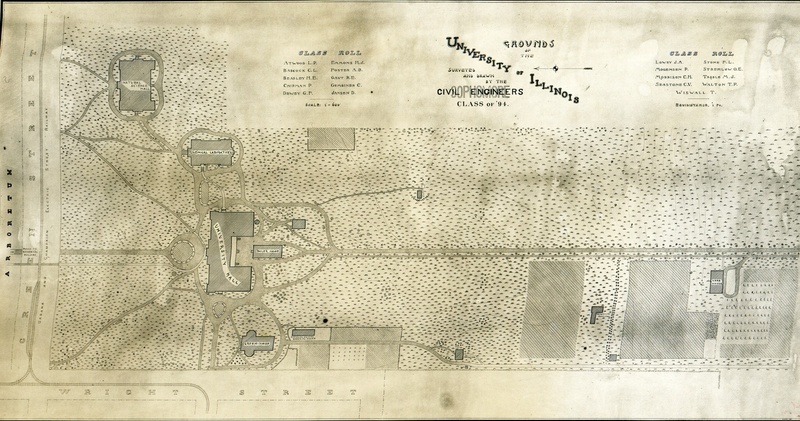 Campus Map from 1892: This map shows the Chemistry Laboratory (now Noyes Laboratory) and the Natural Science Hall (Natural History Building) along with the placement of New University Hall where the Hallene Gateway welcomed students. 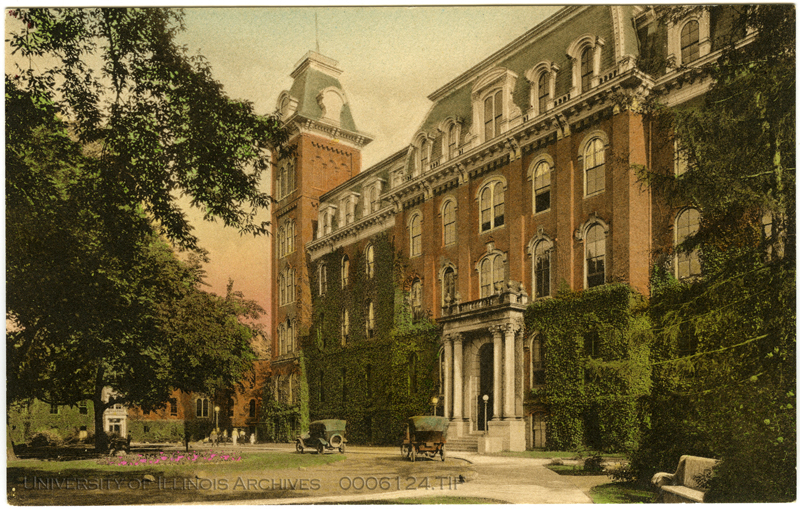 The University Hall was located much further south than the current location of the Illini Union, which is currently located directly east of the Natural History Building. 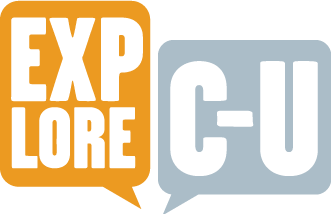 Kara Brehm, “Hallene Gateway, 1871,” ExploreCU, accessed April 21, 2019, https://explorecu.org/items/show/80.